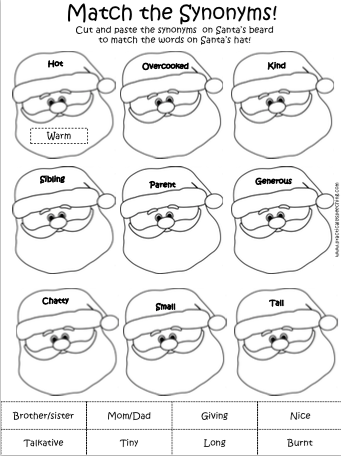 It's December, a time for joyful holidays and insane kiddos...and crazed teachers and SLPs! 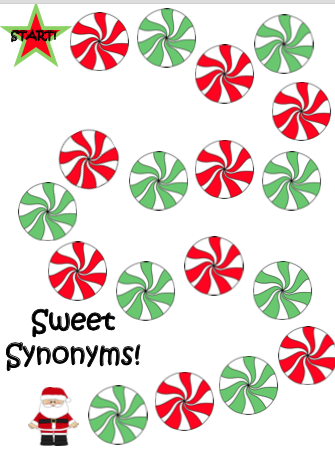 I wanted to get ahead of the craze between Thanksgiving and Christmas, so I decided to make my synonym/antonym packet for my kiddos. It's a nice combination of skills that can be brought high and low. Plus, it involves Christmas, so you know that's always a plus for our kiddos! 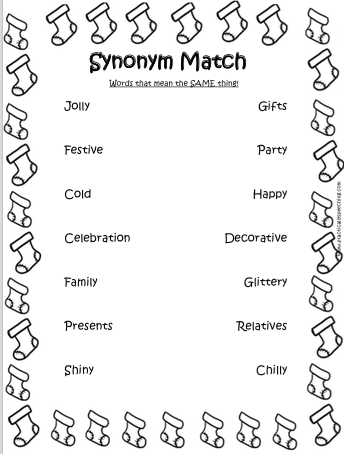 I start my kids off by singing "synonym, synonym, words that mean the same. Antonyms are different, and speech is just insane, hey!" 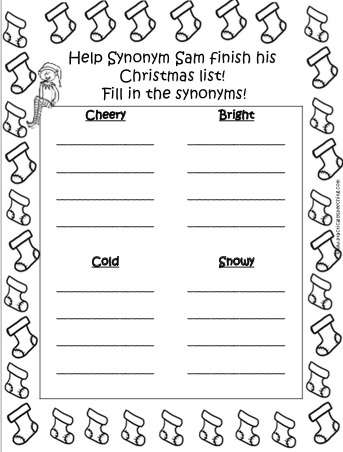 to the tune of jingle bells...which sounds insane, but it works lol I have my kids clap their hands together for "same" and use the ASL sign for "different" when saying synonym/antonym. It seems to stick. 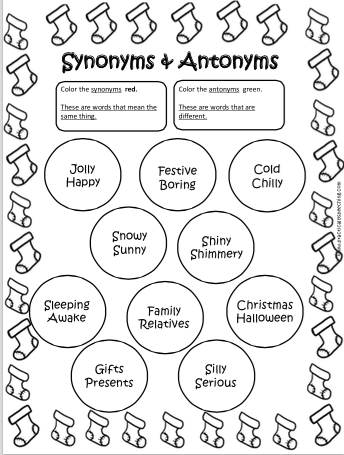 We then identify synonyms/antonyms using the worksheets, and move on to production, and sorting. There is a reinforcer game to take you through each step of the packet to keep you going! You can download this packet HERE on TpT!